As Customer Success continues to find its way into the mainstream, Customer Success Managers (CSMs) are at the forefront of this growing movement. In fact, a recent analysis of LinkedIn data found nearly 20,000 open jobs for Customer Success Managers representing a 31% open-job/existing job ratio. A side effect of Customer Success’ recent creation and meteoric rise is ambiguity around the roles and responsibilities the CSM title encompasses. 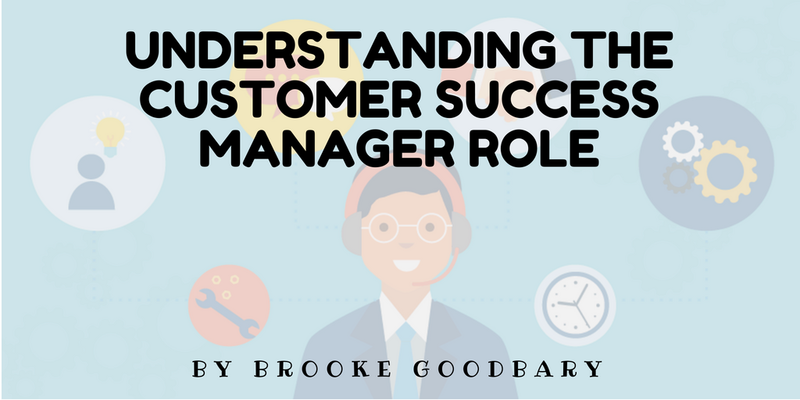 When evaluating the work of a CSM it’s helpful to evaluate the role through the lens of the Customer, Success, and Management dimensions. The responsibilities of a CSM vary by company and industry. If you’re at an early stage startup lacking dedicated support agents, then your CSMs might spend 50% of their time answering support tickets. Contrast this with an enterprise SaaS company and you’ll find that their CSMs don’t necessarily get into the weeds of day to day product usage but instead optimize towards having strategic conversations with a focus on customer goal attainment. That being said, there are some responsibilities nearly every CSM shares regardless of company or industry. Customer Success teams would be nothing without the customer- everything starts and ends with them. It’s easy to get distracted by new internal initiatives or incentives and for these to begin to eclipse your customer’s goals and business outcomes. Don’t let this happen. This doesn’t mean sacrificing your company’s long-term viability to service your customers, but good CSMs strike a balance between doing what’s right by the customer with helping your company bring in additional revenue through renewals, upsells, and expansions. When was the last time you sent an email where the goal was to “just check in”? Yes, we’ve all been guilty of it at one time or another, but CSMs need to fight the urge to send these kinds of generic check ins. One, because they’re not effective. Two, because they can actually harm your relationship with customers. Over time these types of spammy messages signal to the customer that you don’t have anything insightful or thought-provoking to share with them. You’re just another vendor asking them about their weekend and missing an opportunity to provide strategy recommendations, best practices, or industry insights. Commit to providing value at every interaction. When you train customers to view you as a source of insights and knowledge, you’ll gain a lot more from the relationship and build a foundation of respect that you can lean on when things might get shaky. Finally, set and manage expectations around what can be delivered. Yes, you’ve probably heard this mantra before, but it’s worth repeating. When you know what a customer hopes to gain by using your product, you have a much better chance of meeting or exceeding their expectations and building a positive relationship. In order to deliver success you need to know your customers’ goals. Clearly define and measure what your customers expect to accomplish through your product. Then, translate this definition of success into a success plan that outlines how you will work together to achieve the customer’s goals. While you’re providing customers with a framework for success, it’s useful to keep up to date on internal processes and workflows behind the scenes that will make your job easier. Having clearly defined any repeatable processes for managing product implementation and onboarding are especially important, since you need to be laser focused on decreasing the customer’s time to value. Other workflows might include a Sales to Customer Success handoff, an outline for how to run QBRs, or templates for invoice payment reminders. Successful customers are powerful spokesmen. Translate the hard work your CSMs have done into new sales by leveraging evangelists and advocates among your customer base. You don’t need an official referral program to show customers how much you appreciate them providing a case study, acting as a reference for potential customers, or just spreading positive word of mouth. With such a breadth of responsibilities it’s common for CSMs to feel like they’re drowning in a sea of unanswered emails, weekly status meetings, and training requests. Bandwidth will almost always be an ongoing challenge, so it’s important to manage your time effectively. Brainstorm how you might be able to scale your efforts, such as setting up messages that are automatically sent at specific stages of the customer journey to encourage deeper feature adoption, or creating a library of training videos. Invest time into the infrastructure that will allow you to better manage your time and continue to scale as your company grows. Manage your company’s understanding of your customers. CSMs are in the unique position of being in constant contact with your customers and, as a result, probably know them better than almost any other team. CSMs have a strong understanding of your customer’s goals, any roadblocks in their way, and how your company can provide value to the relationship. The customer feedback CSMs gather should influence decisions across your company, from shaping your ideal customer profile, to optimizing your pricing model, and determining which features your team should build next. As the voice of the customer, CSMs translate and spread customer insights across the company in a way that provides all teams the opportunity to respond to customer needs. First posted on the Armatic blog.